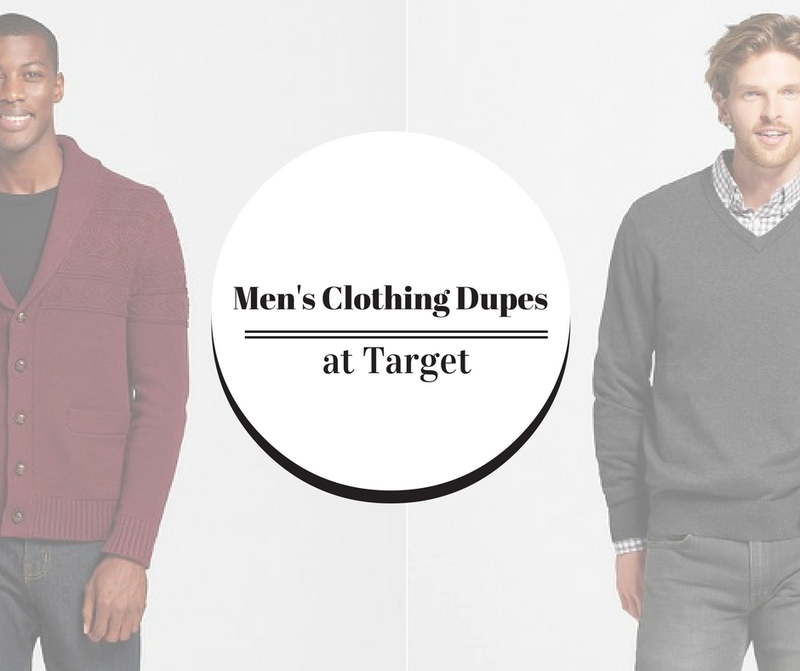 We go to Target for so, so many reasons, but one section that always grabs our attention is clothing. Target has great quality items for low prices. 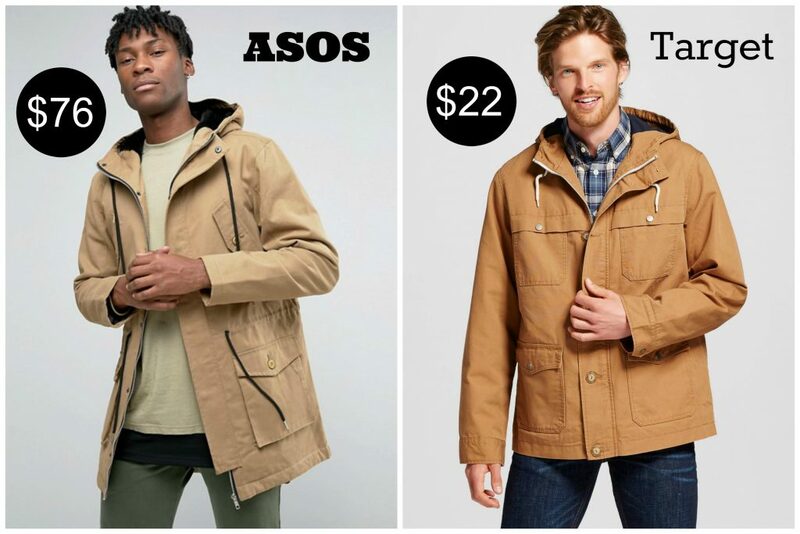 Many times, the items we find on the rack at Target look exactly like the designer brands we find at the higher-end stores. 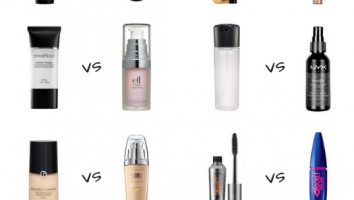 Today, we’re going to share with you some of our favorite dupes and how much you can save by shopping at Target. 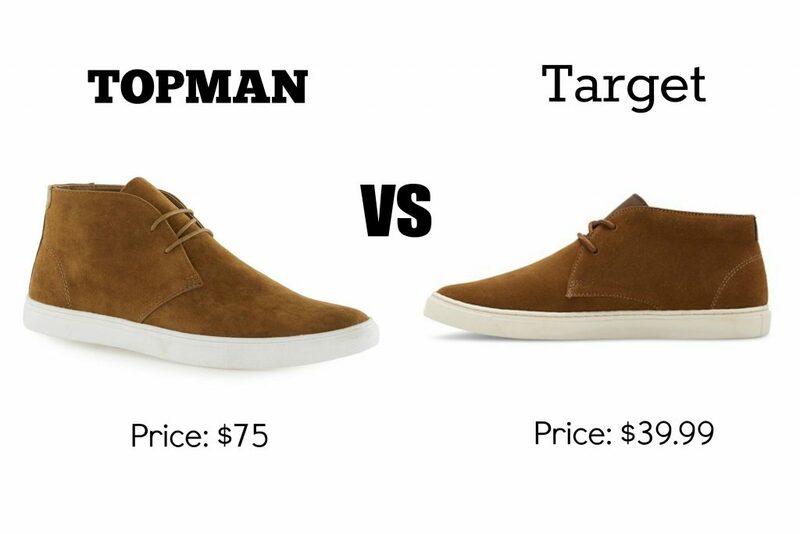 We found a pair of tan faux suede sneakers which are pretty much IDENTICAL, but 40% cheaper than the designer brand. They’re both made of faux suede fabric, have a rubber sole and are front lace-ups. 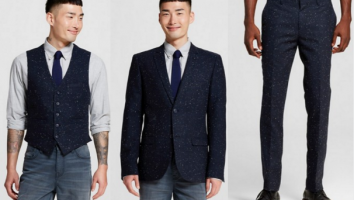 This look has a casual sophistication about it and it’s available at Target for less than $40. This is one of the biggest price differences we’ve seen. 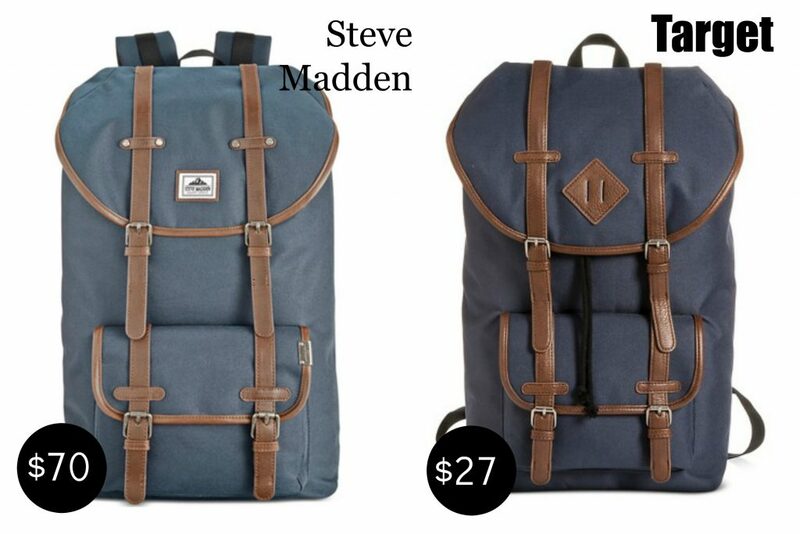 A whopping 60% difference between the Steve Madden Men’s Utility Backpack and the Merona Men’s Navy Utility Backpack. Both styles are pretty similar, though the color of the Merona bag is richer than the Steve Madden bag. The one to the left is 3 inches taller, but when you’re looking at such a big price difference, 3 inches doesn’t mean much. No comparison here! If you’re looking for a stylish jacket that pairs well with everything, this is it. It’s a must have for spring – grab it before its’ gone! Both the Merona Workwear Parka and the ASOS Illusive London Parka are 100% cotton, have a drawstring hoodie and four front pockets for maximum storage. The only difference is that one of them is $22. Brrr, it’s cold outside. We need a cozy sweater to keep us warm this winter. If we had to choose, we would go with the Merona Button Down Mock Sweater, just $9.88 at Target! Talk about a steal. A similar designer sweater like the John Varvatos USA sweater jacket can run up as high as $348. Our wallets are feeling a little cold just thinking about it. 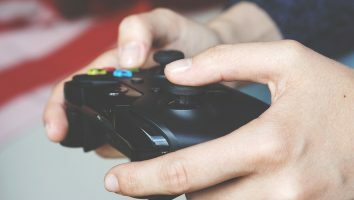 What can we say, men enjoy their video games just as much as ladies love their pedicures! From Xbox One, PlayStation 4 to bringing back the old school classic Nintendo last year… Target has anRead More. There’s nothing we love more than a reason to go to Target, especially when it’s under the guise of shopping for someone else. 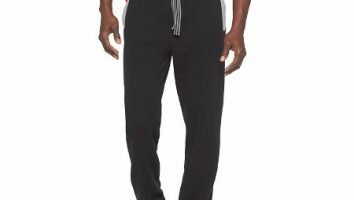 This week Target is having a 25% off sale on men’s activeRead More.